In his 2013 State of the Union Address, Former President Obama hailed a Filipino nurse as a role model. Filipino nurses offered a tender loving care, the reason why they are still in demand in many different countries in the world such as Saudi Arabia, United Kingdom, Canada, Japan and many other. Now, the Germany is in need of many Filipino nurses too under a government-to-government arrangement with the Philippines. 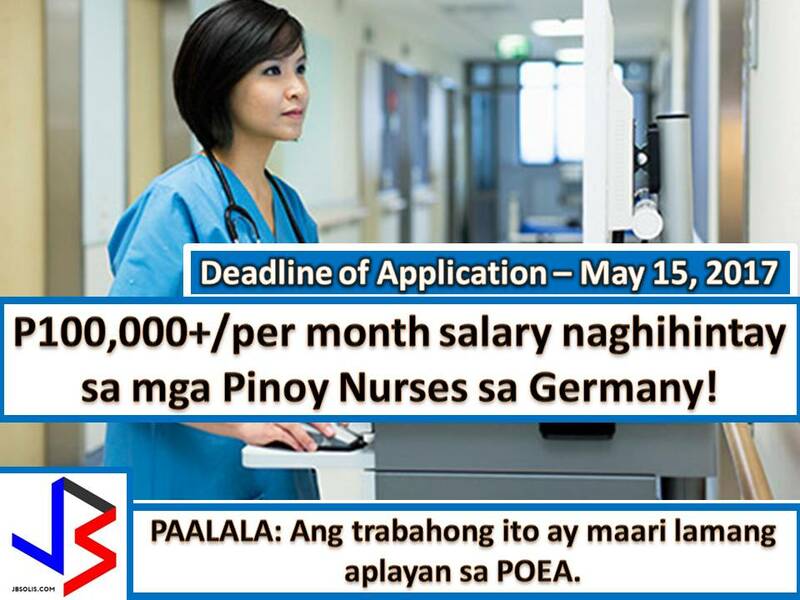 According to the POEA, 400 nurses is currently needed in Germany. Department of Labor and Employment (DOLE) Chief Silvestre Bello III said that qualified applicants will fill up vacancies for intensive care unit and general and geriatric care wards in several hospitals in Germany. This is based on a report of Philippine Overseas Employment Administration (POEA) to DOLE. The deployment is under Germany’s Triple Win Project, which is supervised by the POEA through a government-to-government arrangement with Germany. At least two years of professional experience as a nurse in hospitals, rehabilitation centers of care institutions. Applicants must have German language proficiency and are willing to undergo German language training in the Philippines to attain Level B1 (to be paid by the employer) or with Bl or B2 language proficiency level in accordance with the Common European Framework of Reference for Languages. The POEA said successful candidates shall have a starting monthly gross salary of €1,900 or more than P100,000 and an increase to €2,300 (P122,000) after recognition as a qualified nurse. The employer will pay the visa and airfare from the Philippines to Germany and will assist the employee to find suitable accommodation. The selected nurse will bear the expenses in full or in part of board and lodging. Valid passport applicants are required to present their original documents for authentication of written information before forwarding the resume to the employer. The deadline for submission of application is May 15, 2017. If you are a nurse and interested in this job apply directly only to POEA and submit your documents to the above-mentioned address. Do not entertain emails from the private person asking money to fast-track your applications because scammers are everywhere. 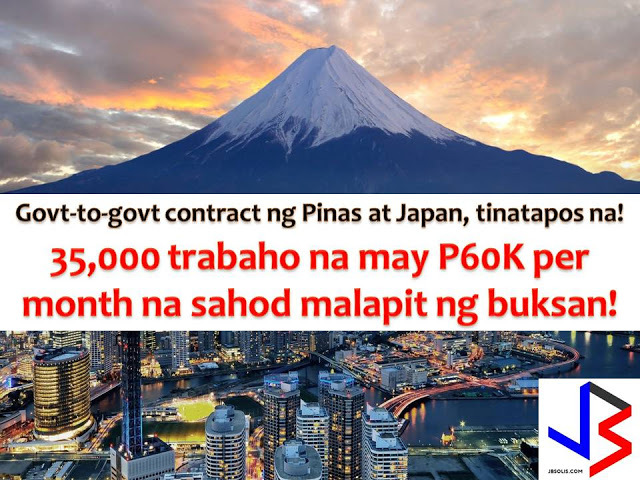 Nursing and caregiving jobs in Japan will be available for Filipinos very soon as a result of an agreement the Philippines has entered into Japanese government.GMA news reported that there are up to 35,000 vacancies for nurses and caregivers where Filipinos can apply. The demand for Filipino nurses abroad is growing continuously. It is because Filipino care is still on top and on demand in different part of the world.In Canada, more Filipino nurses are encouraged to move and work in the said country. 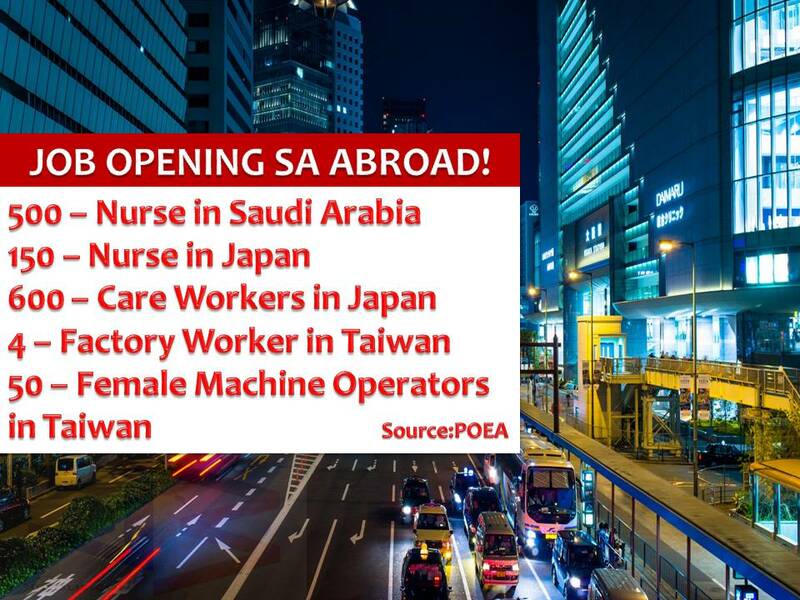 Saudi Arabia, Japan, and Taiwan are calling for Filipinos to apply and work in their country.Foreign nurses are in need in Saudi Arabia and Japan while Taiwan is looking for female factory machine workers and factory workers.